Bantams! 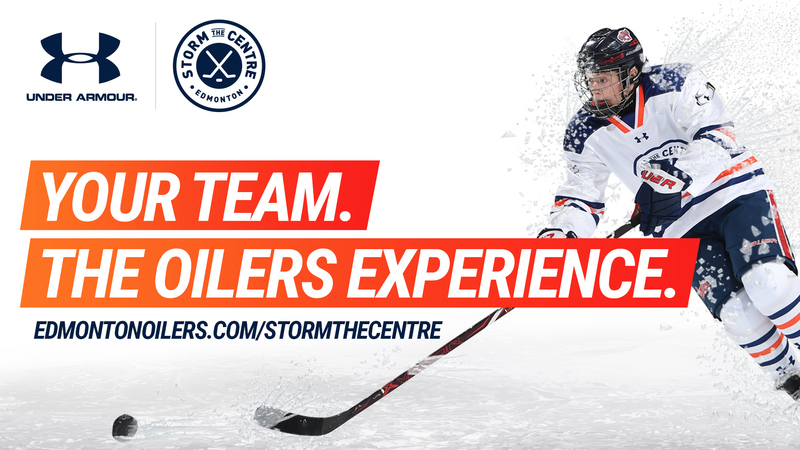 Win a day competing on Oilers ice in Under Armour's Storm the Centre Competition. Do you have what it takes? Under Armour's Storm the Centre is an online competition where bantam hockey teams can earn the chance to play on the same ice as the pros. The Edmonton Oilers will host the seven week long competition that kicks off on October 2nd and runs through November 19th. Two winning teams will get to spend a day at Rogers Place where they’ll practice and train like the pros. Then, they’ll compete on Oilers ice in the Armour Cup. Winning is all about telling your team’s story the best. Coaches, players, and parents can upload their best videos or pictures to five different chapters to show your team has what it takes. Upload as many times as you want, just know you gotta bring it every time. That’s not all, teams that go above and beyond each week will be awarded Under Armour gear for all their players. This is a once in a lifetime opportunity for teams. Register your team today!